HPCC Systems • View topic - Issues posting to forums? For anyone experiencing issues posting to the forum, please try logging out, clearing your browser's cookies for the hpccsystems.com domain, and then log back in to the forum. In Chrome and Firefox, you should be able to selectively delete cookies only for this site. 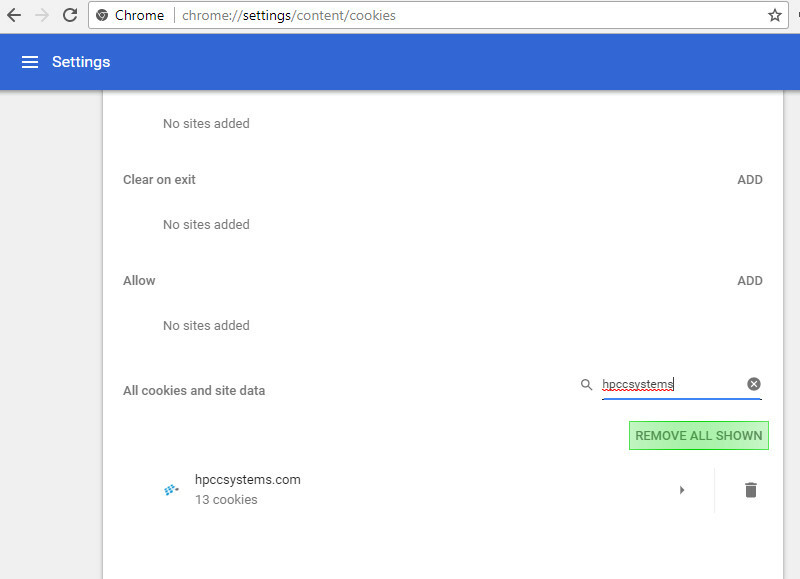 For Chrome, visit chrome://settings/content/cookies, search for "hpccsystems", and delete these cookies by clicking the "Remove All Shown" button. 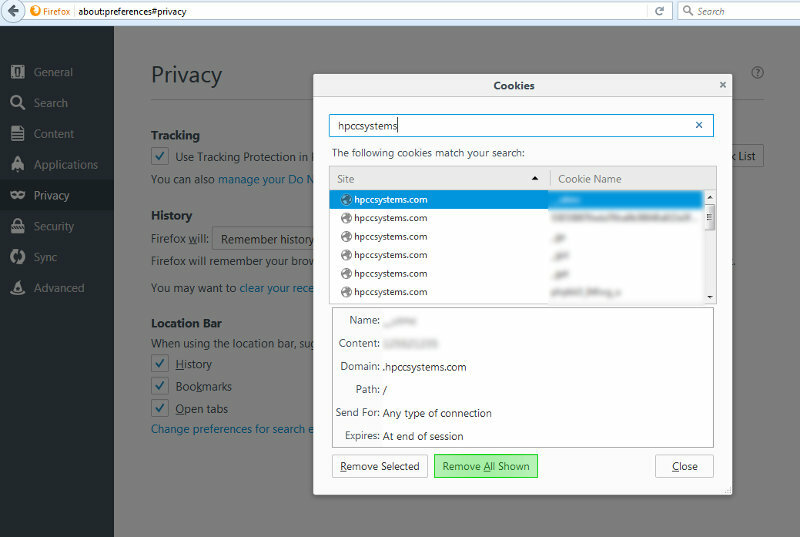 For Firefox, visit about:preferences#privacy, click the "remove individual cookies" link, search for "hpccsystems", and delete these cookies by clicking the "Remove All Shown" button. For Internet Explorer, press Ctrl + Shift + d to open the "Delete Browsing History" dialog and click "Delete".